Qorvo has partnered with leading lighting and IoT solutions company, LEEDARSON, to create a family of smart home lighting products that operate concurrently with Zigbee 3.0 and Bluetooth Low Energy (BLE) 5.0 protocols. The first of these solutions is a new LEEDARSON smart light bulb and light switch that integrates Qorvo’s QPG6095 system-on-chip (SoC), a multi-protocol/multi-channel smart home communications controller for ultra-low-power wireless applications. This new, smart light bulb is being demonstrated at the LEEDARSON booth during the IFA Consumer Electronics Unlimited show (IFA2018) in Berlin from August 31 - September 5 and will also be showcased at IBC 2018 in Amsterdam from September 14-18. 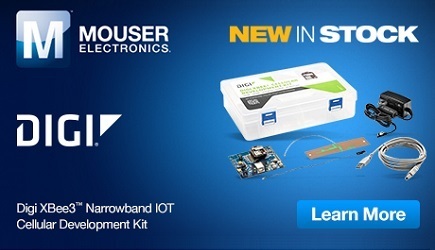 The Qorvo QPG6095 SoC advances the state of smart home networking by supporting different connectivity standards, including IEEE 802.15.4, Zigbee 3.0, Thread and BLE 5.0, for sensors and actuators throughout the home. This enables easy integration of multi-protocol use cases in IoT smart home devices, supporting simultaneous interactions with a BLE-enabled smartphone and the Zigbee network. The QPG6095 is BLE 5.0 and Zigbee 3.0 platform and product certified, and Zigbee certified for Touchlink, for lighting applications. It also provides Green Power energy efficiency, extended range and battery life, and robust interference mitigation. According to Luke Lin, President of IoT for LEEDARSON, Qorvo’s QPG6095 allows them to develop solutions that support multiple IoT protocols, enabling new use cases and applications in the lighting market. Its Green Power feature enables coin cell battery operation, offering a longer battery life of 10 years for light switches and smart home sensors. This greatly reduces cost and time spent by users replacing batteries.